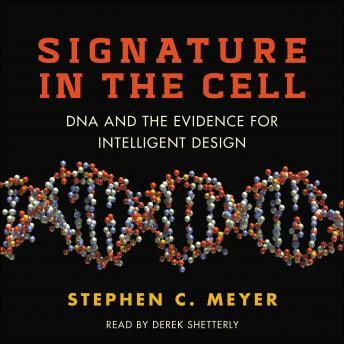 Named one of the top books of 2009 by the Times Literary Supplement (London), this controversial and compelling audiobook from Dr. Stephen C. Meyer presents a convincing new case for intelligent design (ID), based on revolutionary discoveries in science and DNA. Along the way, Meyer argues that Charles Darwin’s theory of evolution as expounded in The Origin of Species did not, in fact, refute ID. If you enjoyed Francis Collins’s The Language of God, you’ll find much to ponder—about evolution, DNA, and intelligent design—in Signature in the Cell.